Since the news that Kate Middleton gave birth to baby girl broke on May 2, millions have been waiting to hear the tiny royal's name. 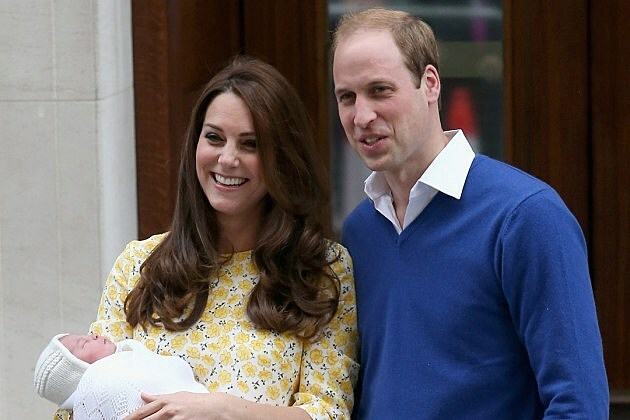 On May 4, Kensington Palace announced that the couple chose to call her Charlotte. "BREAKING: The Duke and Duchess of Cambridge have named their daughter Charlotte Elizabeth Diana, Kensington Palace says. #RoyalBaby," the official Twitter account read. Both of Williams' parents' names are honored with this name, with "Charlotte" nodding to Prince Charles (it's also Pippa Middleton's middle name) and "Diana" celebrating the late Princess of Wales. Kensington Palace also tweeted the baby's official title, "The baby will be known as Her Royal Highness Princess Charlotte of Cambridge." The world first got its glimpse of Charlotte when Kate, William and big brother George posed for photos outside of the hospital. George and William adorably matched in blue sweaters and white shirts, with the baby even waving to the crowd along with his father. Kate looked as effortlessly chic as ever as she held Charlotte, wearing a yellow silk Jenny Packham dress. Us Weekly reports that the newest member of the royal family is fourth in line to the throne, following Prince Charles, Prince Williams and George. Katie Nicholl, an expert on the royal family, told Us Weekly that William will be thrilled that his second child is a girl. "I know Prince William will be absolutely delighted," Nicholl said. "He has secretly wanted a little girl. He wanted a girl [since] Prince George's [birth]. And I think it's wonderful. Now they have one of each."